Valuable members, past members, event attendees, and affiliates; we at the Personnel Testing Council of Northern California (PTC-NC) are excited to announce the 2019 PTC-NC Summer Conference! Come join us for a chance to network with other state, county, local municipality and private sector professionals while learning about the latest developments in testing and assessment. We have a great agenda planned that will include something for those with every skill or knowledge level. While we are still in the preliminary planning stages of this event, we wanted to share the exciting news with you to provide sufficient time to mark your calendars. 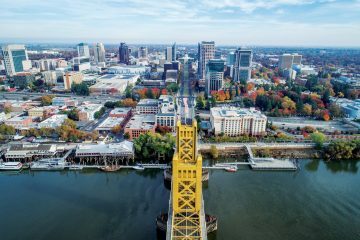 The conference will be held near downtown Sacramento and will run over two days on June 27 and 28, 2019. Applied Track: Attendees in this track will learn valuable “how to’s” on a wide variety of topics including technology tips and tricks, how to implement more powerful assessment techniques and how to increase their ability to provide value in an age where many are relying on training and experience questionnaires or downplaying the role of testing altogether. If you are looking for practical things you can do right now to either grow your testing unit or enhance your ability to do assessment well, this track may be for you! Technical Track: This track will allow those who are looking for a deeper dive into the science of assessment as well as advanced techniques for leveraging technology in the application of assessing human abilities. Even if you are not an “assessment nerd” you will learn valuable information that will help you grow in your career as an assessment professional. Summer Conference on June 27th and 28th!